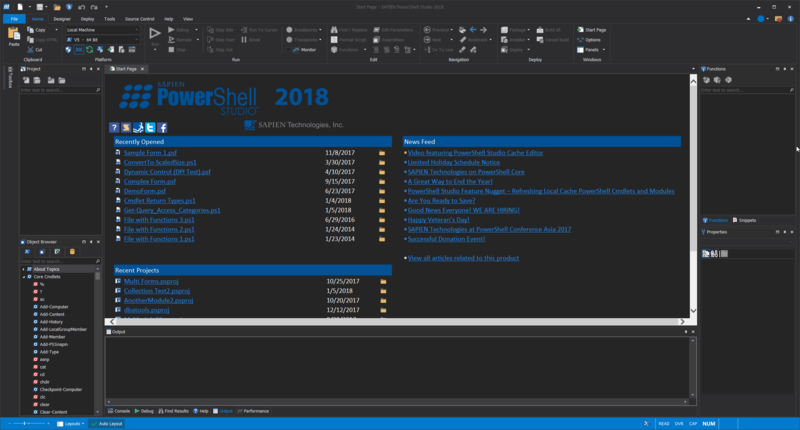 We are happy to announce the release of PowerShell Studio 2018, which is included as part of the regular update cycle for our subscribers. 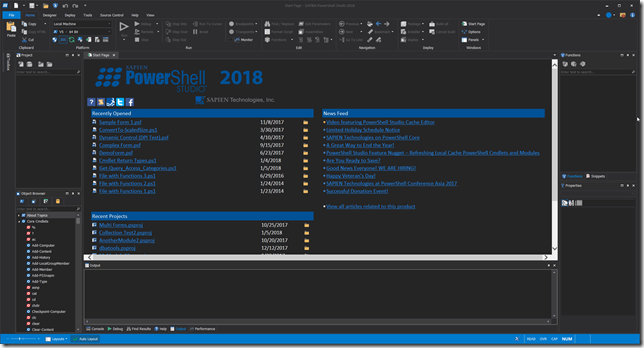 The 2018 release includes many improvements and new features to enhance your overall experience with PowerShell Studio. We updated our cache to include additional information, such as parameter set names, return values and validation sets. Note: Building the new cache will take longer than previous versions due to the inclusion of additional information. 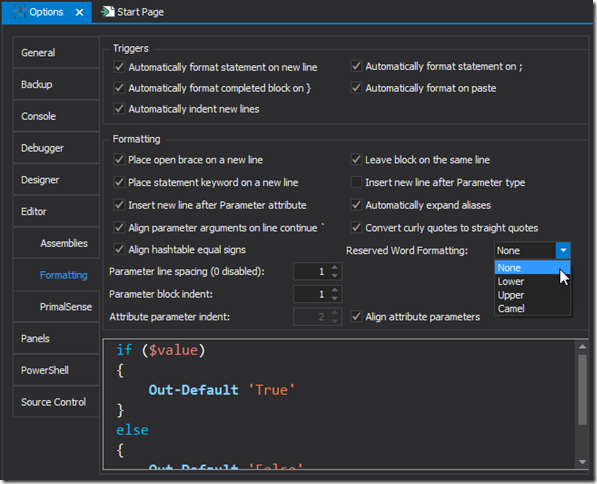 PrimalSense will now provide a list of assemblies for the using statement’s assembly parameter. Note: PrimalSense will only display the cmdlets of the specified module. 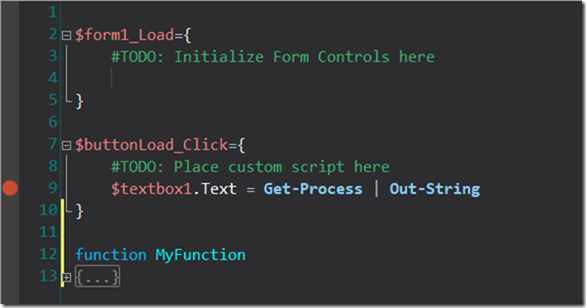 On the first run, PowerShell Studio will attempt to detect Windows PowerShell and PowerShell Core and automatically add them to the console list. Note: The Script Blocks option now only applies to script blocks that are not part of a function declaration. None Leaves the reserved word casing as is. 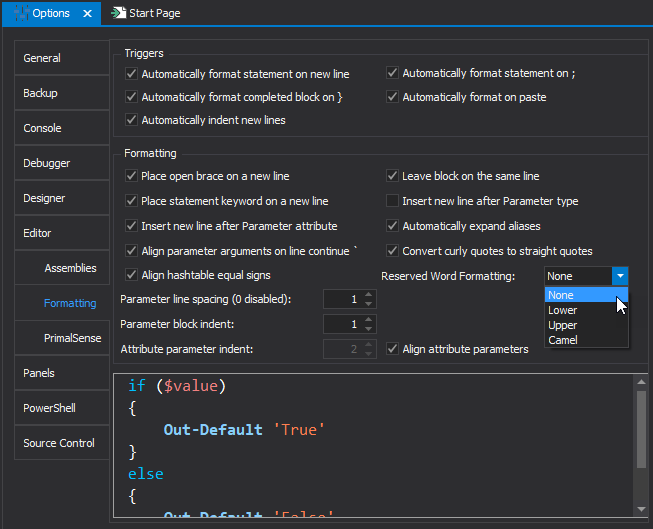 PowerShell Studio will now change the color of the text to denote errors and warnings in the Output and Debug Panels, making important messages stand out. Previous versions required you to configure a remote machine before you could open a remote console. 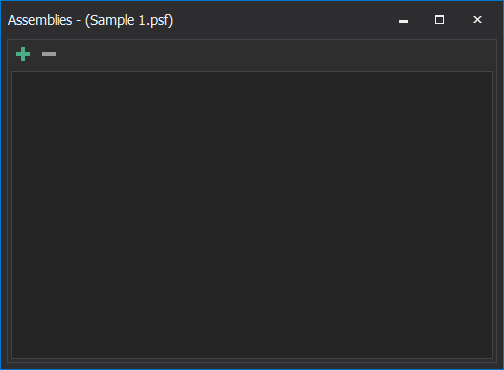 The %FileDirectory% variable can also be used in file templates. The new script creates a cleaner presentation of the database results. 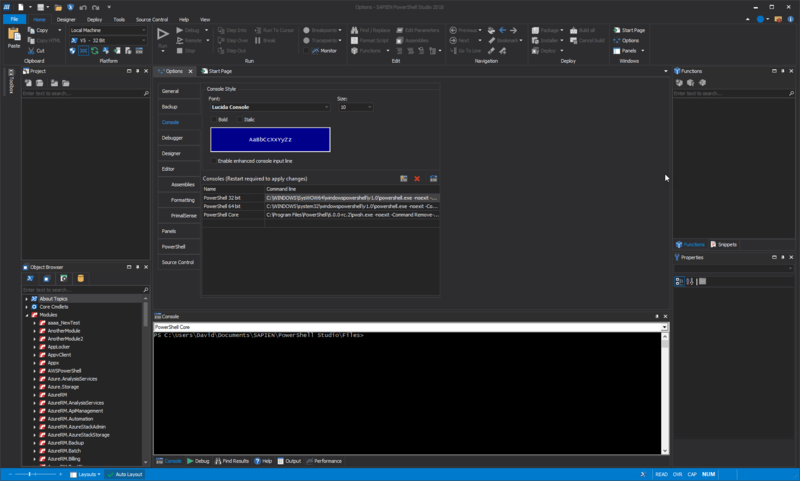 Previous versions of PowerShell Studio would list some of the core .NET assemblies in order to provide PrimalSense, and also to ensure the System.Windows.Form assembly was loaded when running the GUI script. PowerShell Studio 2018 will no longer list the base .NET assemblies such as mscorlib, system, system.data, etc. As a result, the assembly list will most likely be empty but PowerShell Studio will continue to provide PrimalSense for these assemblies without explicitly listing them. 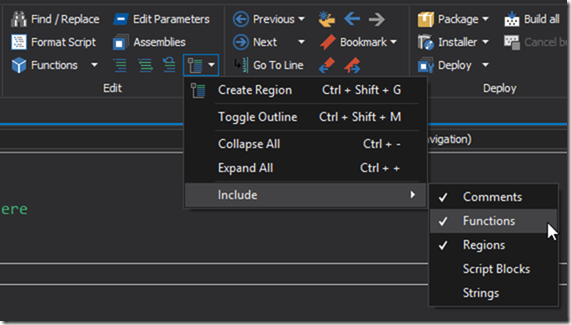 This way, PowerShell Studio will only list external assemblies that you explicitly specify . 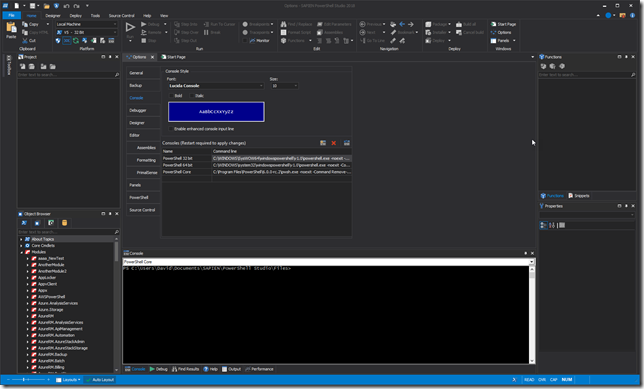 Note: GUI psf files created with previous versions of PowerShell Studio will still retain the old assemblies list. 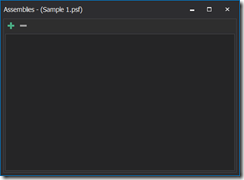 New psf files created in PowerShell Studio 2018 will have an empty list. 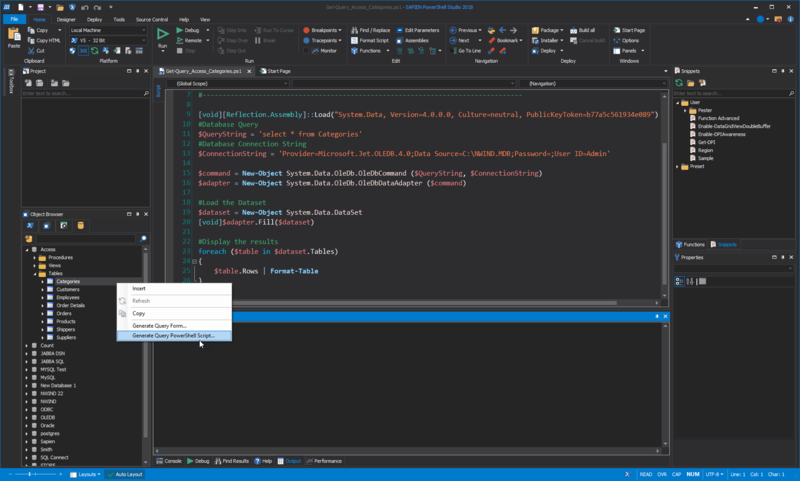 We made several performance improvements to the debugger and projects. Hovering your cursor over a value with a large array, should now respond much faster than previous versions. We made improvements to our output handling to reduce the impact of large amounts of output flooding the UI. The application should now be more responsive in these situations. We reduced the time it takes to update a project by making some improvements to the performance of project file syncing.